Our family flew to Dallas for U.S. Thanksgiving to visit my sister Leslie and brother-in-law Kyle who live there. Blake had never experienced Thanksgiving, American-style, and I was eager to return to my birth state (truth) and see how Dallas had changed since I was last there (in, um, 1991). 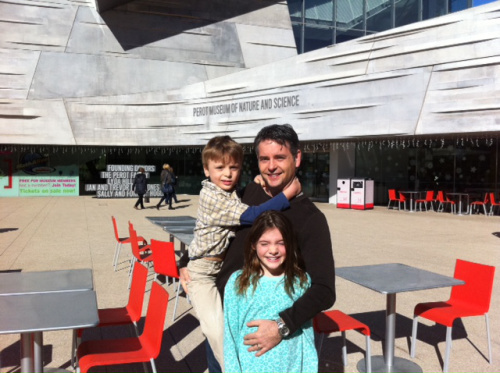 Posing outside the Perot Museum in Dallas. As in Ross Perot. Remember him? We prepped Bennett with a social story called My Trip to Dallas, that included pictures of all the places we might go and the things we might do. Our agenda didn’t include much beyond turkey and a Black Friday sale or two, but here are a few of the highlights.